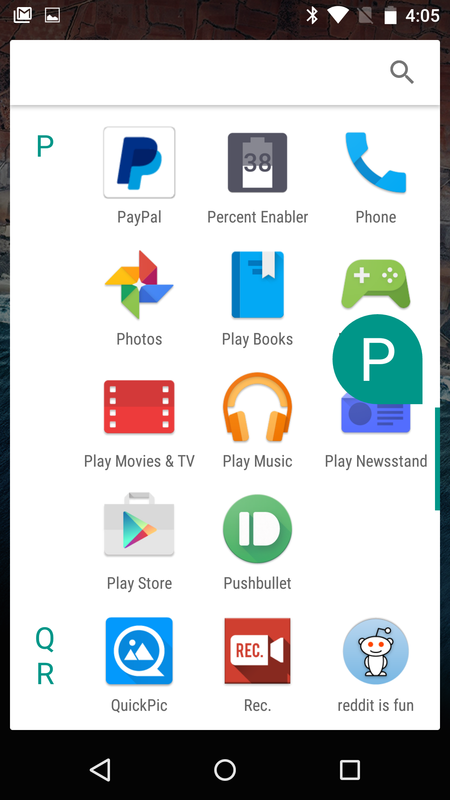 There are a lot of new things in Android M, but this is an example of something old made new again. 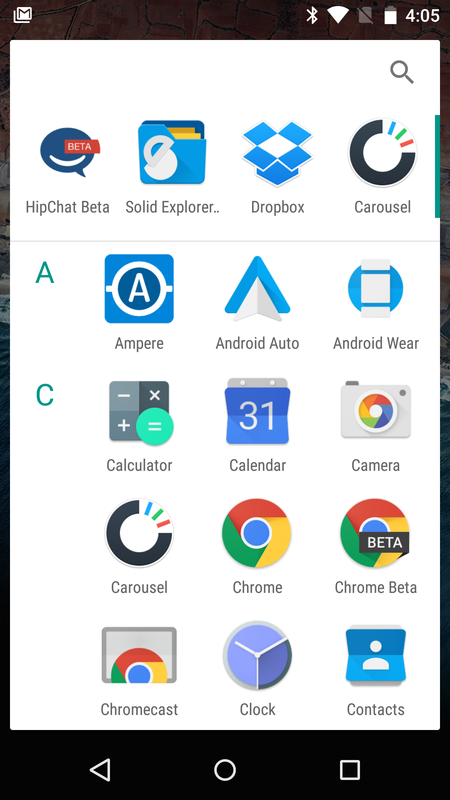 The app drawer and widget picker in the Android M dev preview scroll vertically instead of side-to-side in a series of pages. The last time we had this behavior it was back in the pre-ICS days. The app drawer still has the same style with the white card filling up most of the screen. You now have a handy search bar at the very top, as well as a bar with what I think are frequently used apps. 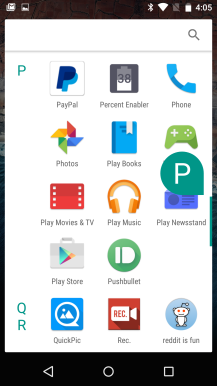 Below that is an alphabetical vertical scroll of all your installed apps. They're grouped by letter, so some sections might only have one or two apps. I'm not usually one to complain about low information density, but this does seem a little sub-optimal. You can use the fast-scrolling bar on the right to zip down to the end of the list, and just flicking is generally easier than swiping through a dozen pages. With some cleaning up, this could be a good UI change. It'll take some getting used to, though. 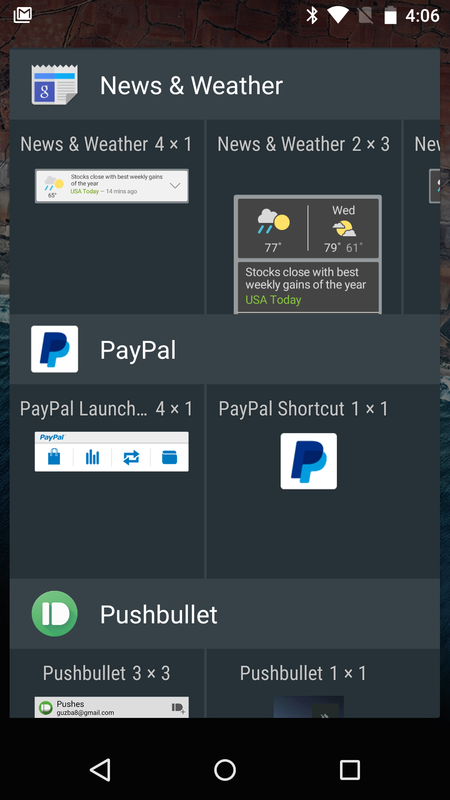 The new widget picker is similarly a little weird, but it's an improvement over the current Lollipop incarnation. It too scrolls vertically, with each app getting a single line. 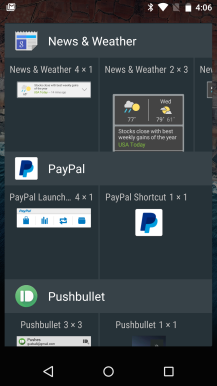 All the widgets for each app are available in a side-to-side scrollable list within that line (if there are more than two). It's similar to the new widget picker in Nova Launcher. The current stock Android widget screen is so slow that I'm willing to give Google the benefit of the doubt on this one. 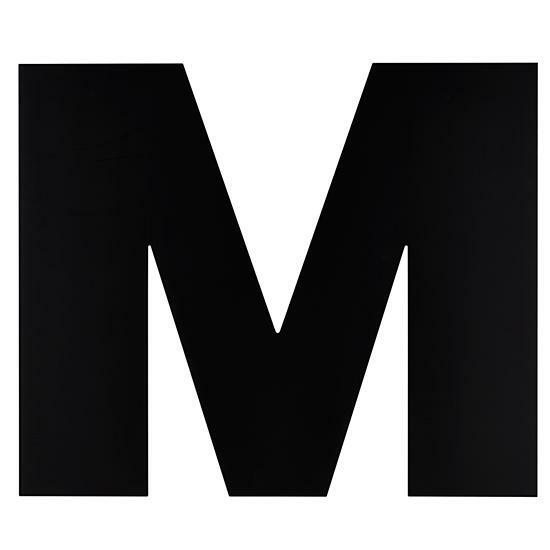 This feature might not be exclusive to M going forward. All the pieces you need to make this work can be installed on Lollipop and earlier, so Google might change the Google Now Launcher behavior of all devices. There's no way to know for sure if this UI will stick yet, though.